Yui Mok/PA Images. All rights reserved. London’s Evening Standard, the city’s flagship free newspaper read by millions of commuters every week, struck a lucrative deal that helped to varnish the reputation of one of the world’s largest agribusiness companies – with readers unaware that the firm was paying for positive coverage, openDemocracy can reveal today. Billion dollar lawsuits the company was facing from farmers in the US were not mentioned in the paper’s coverage, and the ongoing controversy over UK plans to soften post-Brexit rules on GM seeds in farming was also bypassed. As part of a major commercial deal in 2017 between the Swiss giant Syngenta and ESI Media – a major UK media company owned by Russian oligarch Alexander Lebedev and run by his son Evgeny – a series of public ‘debates’ and articles on the ‘future of food’ were run by London’s Evening Standard. In the debates and related content, paid for by Syngenta, there was no examination of the financially damaging billion-dollar legal challenges Syngenta was facing across the United States. Also omitted from the Standard’s coverage was the emerging political controversy over plans by the UK government to rewrite post-Brexit rules on the use of genetically modified seeds in farming – which Syngenta continues to back through expensive lobbying. 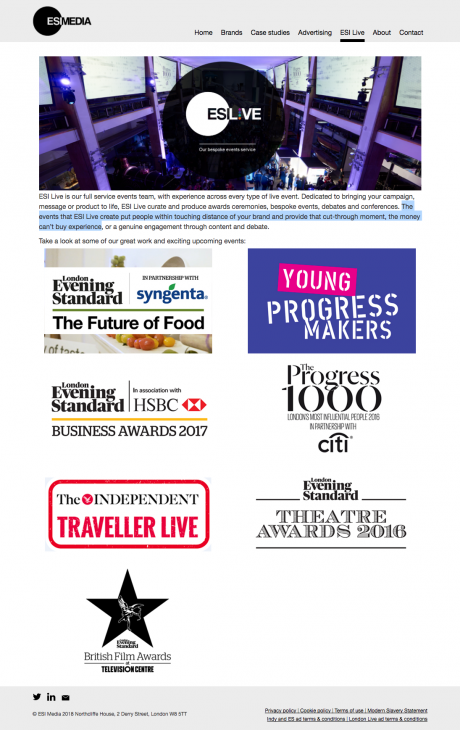 Syngenta’s paid-for debates and coverage in the Evening Standard are part of a growing practice inside ESI Media which deliberately blurs the division between advertising and editorial content, senior inside sources have told openDemocracy. As part of a wider investigation by openDemocracy into the commercial pressures now affecting Europe’s media, former executives, journalists, and other insiders at ESI described a culture where senior editors play a subservient role to commercial masters who effectively run ESI’s operations – with readers left in the dark about who pays for their news, and on what terms. 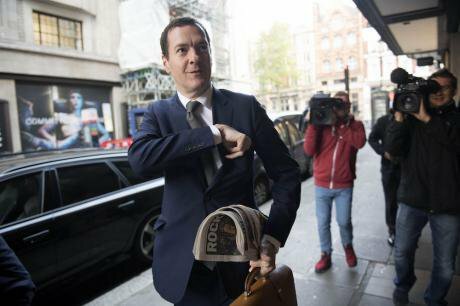 Former chancellor George Osborne arrives at the Evening Standard offices to begin new role as editor. Victoria Jones/PA Images. All rights reserved. When the lucrative deal between Syngenta and ESI Media was agreed in early 2017, the Swiss agri-chemical company was on course to be taken over by ChemChina, the state-owned Chinese chemical company. The $43 billion take-over figure was mentioned in a March 2017 article in the Evening Standard. But it is what the Standard omitted to tell its readers about Syngenta – and what it failed to highlight in the public debates it hosted, paid for by Syngenta – that marks the difference between editorial information intended to inform readers, and commercial content paid for by a company looking to boost its balance sheet. In the article, pictured below, there was nothing to tell readers the piece was part of a lucrative commercial relationship with Syngenta. However, under a sub-heading, ‘Join the debate’, the Standard said it had 25 pairs of tickets to “give away” to a series of debates on the future of food that were being run “in conjunction with Syngenta.” A deadline and internet address for the ticket offer was included. The piece described Syngenta as “one of the world’s leading crop protection firms” and stated that the Swiss firm believed “future shoppers face a stark compromise” – accept innovation or face higher prices and supply shortages. The first of the ESI-Syngenta 'future of food' events, on March 22, was chaired by the then-editor of the Standard, Sarah Sands, now editor of BBC Radio 4’s prestigious Today Programme. Industry sources told openDemocracy that given the high profile involvement of the editor (Sarah Sands) in the event, and the global importance of well-timed positive editorial, Syngenta would have been expected to pay north of £100,000 to ESI for their overall deal. The marketing agency, Green Street Media, were also paid to assist ESI with the public events. 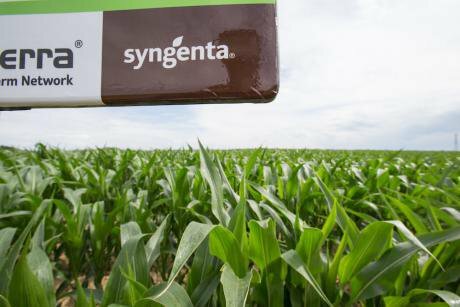 Both Syngenta and ESI have declined to reveal what the deal was worth. But for ESI, revenues from the Syngenta “partnership” and other paid-for content which blur the divide between editorial and advertising have become increasingly important. Three months after the food conference, the paper announced that profits had fallen by a third, down from £3.3m the previous financial year, to £2.2m. 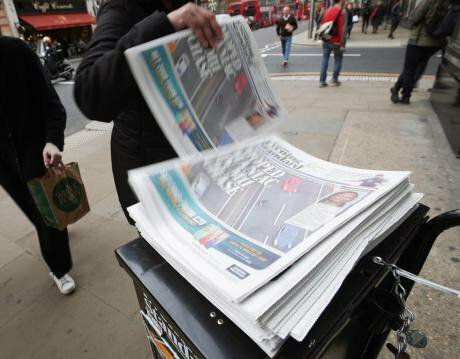 A further fall in profits is anticipated by City analysts when new figures are released later this year, linked to the fall in traditional advertising revenue and increased costs in distributing the freesheet across London. Although the March 22 'future of food' discussion panel in Somerset House, chaired by Sands, was described as containing “industry experts”, discussions were dominated by those making the case for the importance of technology, with the North Europe head of Syngenta, Alex Steel, given a prominent role in the event. 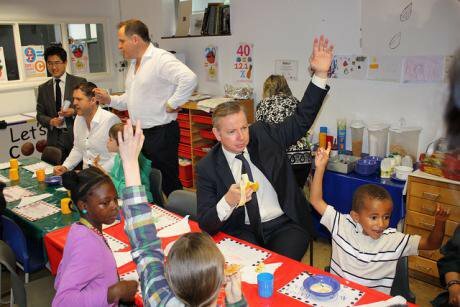 Michael Gove, Henry Dimbleby and John Vincent from Leon Restaurants visit the breakfast club at Lauriston School in Hackney on 4 July 2012. Image used under Fair Use: Flickr/educationgovuk. All rights reserved. Syngenta’s own company website used the content from the Standard debate, stating it had been a “pioneering example of the mainstream media highlighting the issues we face and educating the public on how food is produced.” There was no mention that the public’s “education” had been bought by the company itself. At the time of the Standard extolling the virtues of Syngenta’s technology, legal trials in the US were pending, with lawsuits from some 350,000 corn growers across 20 US states claiming as much as $13 billion in losses. In 2013 China had tested corn shipments from the United States and discovered they contained a specific genetically modified corn seed. Two years earlier Syngenta had marketed two varieties of corn seed to farmers in the US – Viptera and Duracade. Both were approved in the United States, but several other markets, including China, had not given formal approval for their use. Farmers claimed Syngenta had rushed the genetically modified seed to market before getting export approval from China. The legal actions also claimed that Syngenta had misled them over when China would licence the GM seed. Lawsuits against the Swiss company began piling up. The loss of the Chinese export market decreased overall demand for US corn, resulting in falling prices for US crops. Farmers affected included big producers in Arkansas, Illinois, Kansas, Missouri, Nebraska, Ohio, Alabama, Colorado, Kentucky, Minnesota, Montana, North and South Dakota, Oklahoma, Texas and Wisconsin. Syngenta logo in a corn field near Basel, Switzerland. Xu Jinquan/PA Images. All rights reserved. With more than 90% of corn grown in the US genetically engineered, the loss of the Chinese market was devastating. Farmers and other companies involved in the corn industry filed a series of lawsuits against Syngenta. Studies by the US National Grain and Feed Association and the North American Export Grain Association estimated the minimum damage to the industry was north of $3 billion. The Swiss multinational claimed it had done nothing wrong and that the Chinese had not been interested in food safety, but were instead intent on lessening its dependence on the US corn market. The massive China-related lawsuits had featured in coverage by international wire services such as Reuters, with Syngenta’s financial difficulties also spelled out in articles in the Financial Times and the Mail. Rumours early last year that the scale of Syngenta’s lawsuit liabilities in the United States would lead to a credit-rating downgrading were confirmed later in 2017 when the two ratings agencies, Standard & Poor, and then Fitch, both put Syngenta “on notice” for a potential downgrade. In October last year, Fitch rated Syngenta at BBB, two notches above junk. However, the ESI-Syngenta coverage focused only on the positives of new genetic technology. After Leadsom’s hint, the government confirmed that as part of the preparations for Brexit it would be reviewing regulations surrounding genetically modified organisms. It remains possible that GM crops could be licensed for commercial purposes as part of the UK’s post-Brexit regime, and the “precautionary” principles that have been a signature of Brussels’ rules could be ended. This agricultural turnaround, given the enduring scepticism about the merits of GM, will not come without a loud public debate. In anticipation of this, leading GM companies including Monsanto and Syngenta are understood to have increased their budgets for high-profile lobbying campaigns to change public hearts and minds on genetic biotechnology. What the ESI Media partnership indicates, according to a leading UK lobbyist, is that in addition to some much-needed reputation-boosting after the China-related lawsuits, Syngenta “wanted to begin the assault on changing consumer attitudes to GM. From the highly controlled debate [in the Evening Standard], it would appear the message the company wants the public to hear, and were prepared to pay for, is: ‘accept-our-technology or face more expensive food’”. Tamsin Cave at the transparency group Spinwatch said: “Syngenta is doing what lobbyists always do: trying to shape public opinion. It’s the only thing standing in the way of GMOs in the UK. So, it is framing the debate as this fictional choice between food shortages and price increases (the problem) and GMOs (the solution). Plus, we’re being told not to listen to their critics, who are apparently all Luddites. None of this is fact, it’s all just manufactured PR, and the Evening Standard is just the latest vehicle willing to spread it. openDemocracy asked Syngenta how its content contract with ESI Media was intended to work, and whether image and reputation was considered a key ingredient of its deal with Evgeny Lebedev’s company. We also asked if the London debates were deliberately timed to address the difficult commercial backdrop that at one point was looking to cost the company billions of dollars. In addition we asked what ESI Media was paid for the deal, and whether the company stipulated that background details from Syngenta’s global operations should be “held back” from London’s Evening Standard readers. 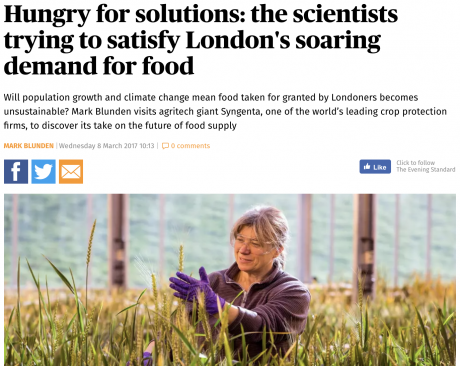 “Syngenta partnered with the London Evening Standard in 2017 to undertake a series of events in London with the aim of engaging Londoners in open debate about the challenge of sustainably feeding major cities worldwide. Whilst many living in the rural environment have a direct understanding and relationship to farming and food production those in cities are sometimes less engaged despite forming the largest number of food consumers. ESI Media were also asked to comment on the commercial details of their deal with Syngenta, and why there was no mention of the global financial difficulties the Swiss company was experiencing that had been widely reported elsewhere. The company’s managing director, Doug Wills, said the partnership had been “news driven” and claimed the public debate about the future of food had been “an issue of considerable interest to our readers.” Wills said the Standard’s coverage around the event and a subsequent article later in the year “reflected both sides of the debate”. This article is part of openMedia a project funded by the Adessium and Democracy and Media foundations to investigate and expose commercial interference in editorial decisions across Europe’s media. If you are a journalist who recognises any of the issues described here, please fill out our confidential survey below, anonymously if you wish. Thank you.